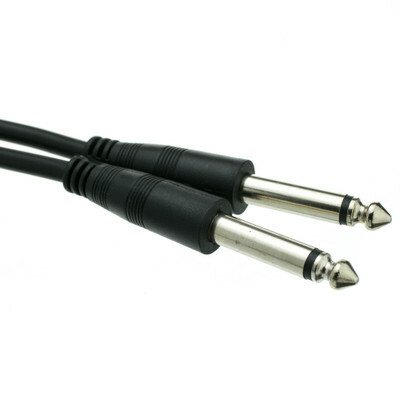 Easily connect electric guitars, electric bass guitars, synthesizers, electronic drums or other electronic instruments to an amplifier with this quality 100-foot, 1/4-inch mono male to 1/4 mono male patch cable. 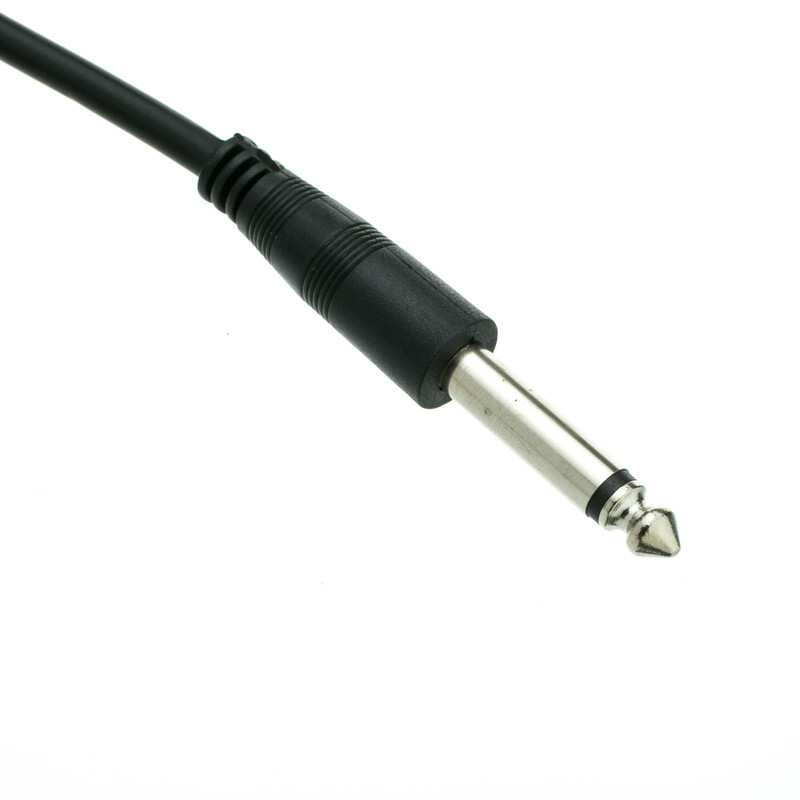 This high performance nickel-plated cable features a spiral shield, which effectively minimizes interference and EMI rejection in order to provide a clean, noise-free sound. A black outer PVC jacket protects the cable from wear, moisture and other factors that could damage the cable or reduce its effectiveness. This cable is RoHS compliant and has a lifetime warranty.